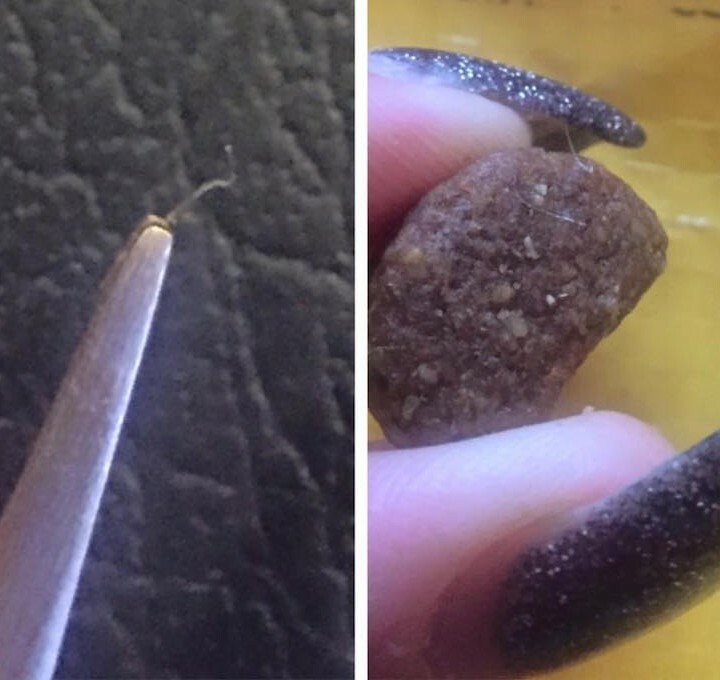 Mars Petcare isn’t saying much, beyond a few comments that these are probably just “natural fibers such as pig hair.” What in the world is going on here? 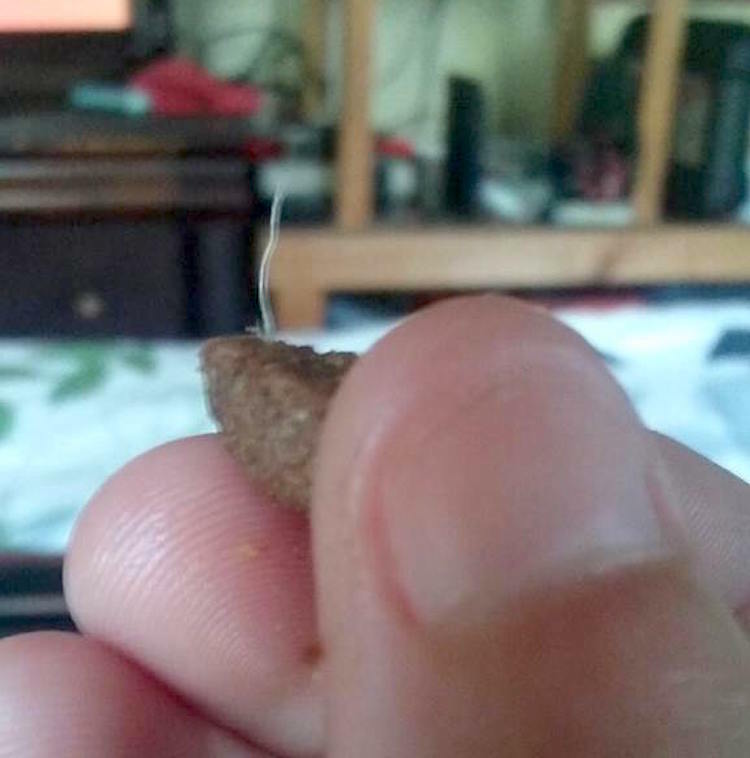 Is it a fiber? A hard plastic wire? Pig hair? Pedigree isn’t saying very much. 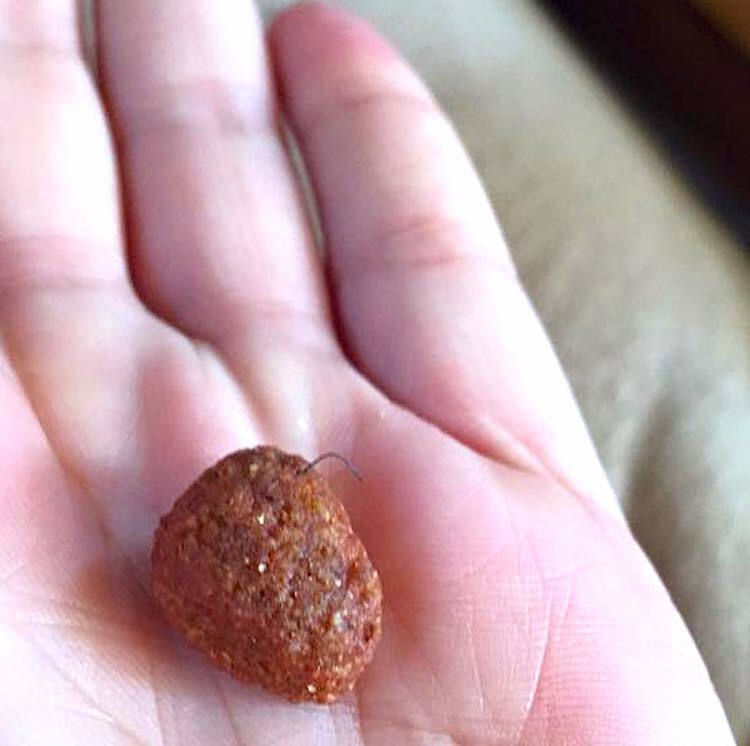 By: Heather R.
Wire in pet food? 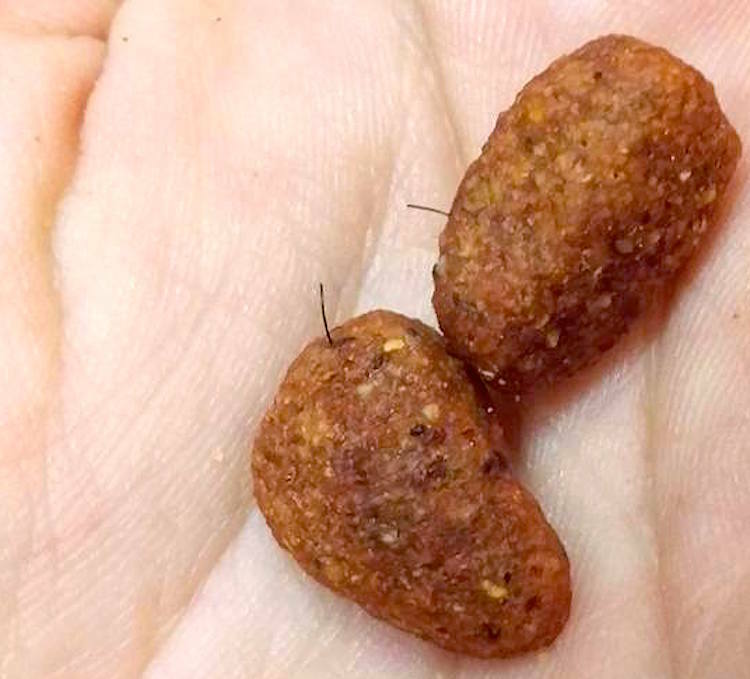 That’s the claim running rampant on social media, with many people reporting seeing pieces of plastic or wire in Pedigree brand dry pet food. 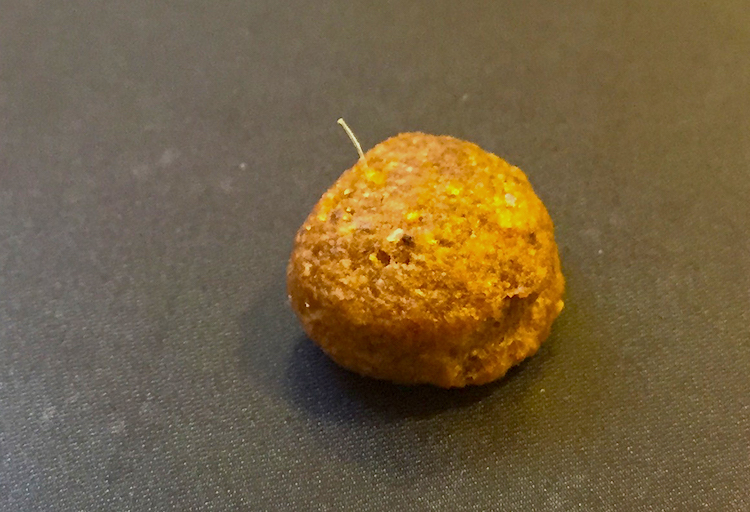 “I inspected my Pedigree for small dogs and also found what appears to be small plastic pieces/wires sticking out of some of the morsels.” —Diana M.
“I too have found multiple pieces of this wire in my dog’s food…. 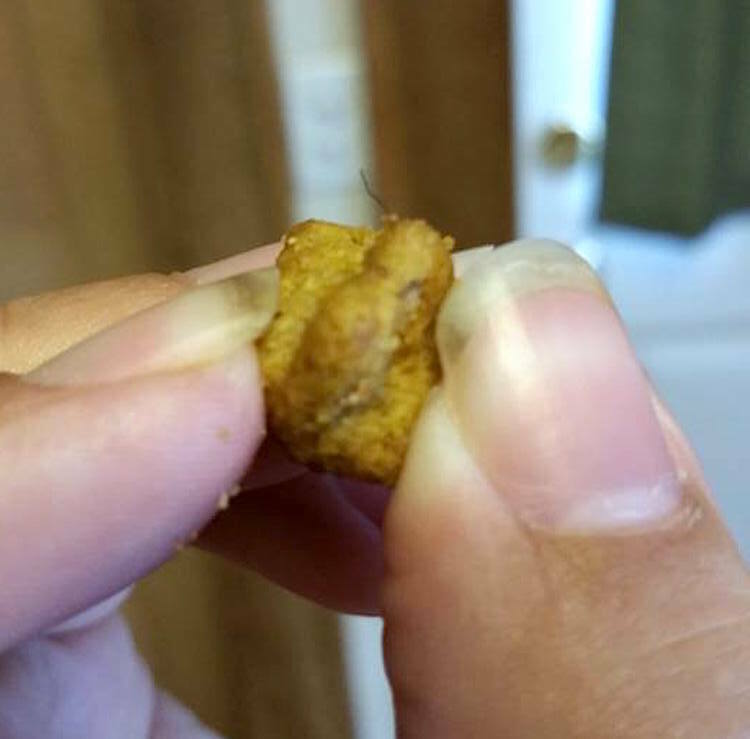 My dog for the last week has been having stomach issues.” —Jessica C.
“We saw these posts and articles about wires found in the food. Went home and found multiple pieces with small black wires in them.” —Kristen R.
“Here’s what I got in my bag labeled ‘Meatier Recipe’: Coarse plastic-like shards protruding from the pieces. 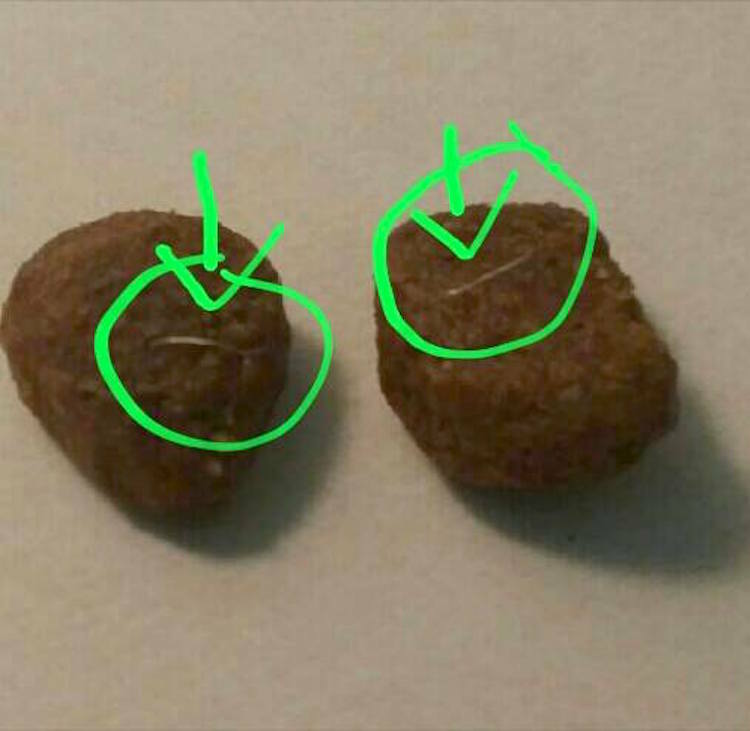 I urge everyone to check their dogs’ food promptly.” —Erin G.
“I have found these little black wires in my dog food! They are throughout the whole bag! 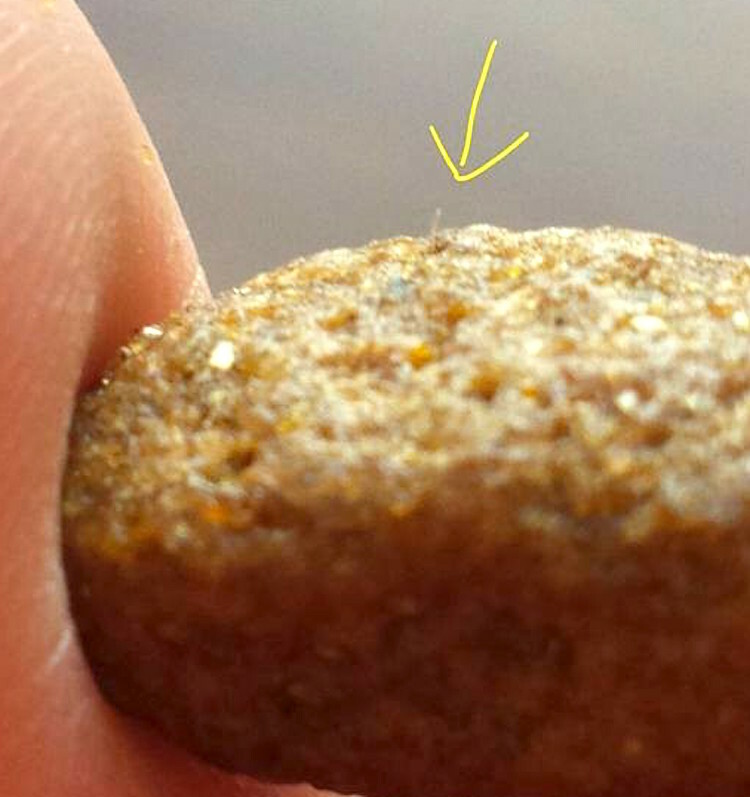 Many people are reporting this.” —Koree R.
“Found more of these little wire/fibers in our dog’s food! What is wrong with you people! 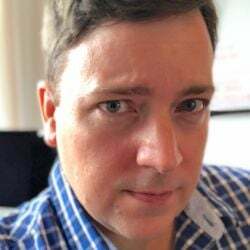 Are you trying to kill people’s pets?” —Brandon T.
“This is not pig hair or plant fibers. 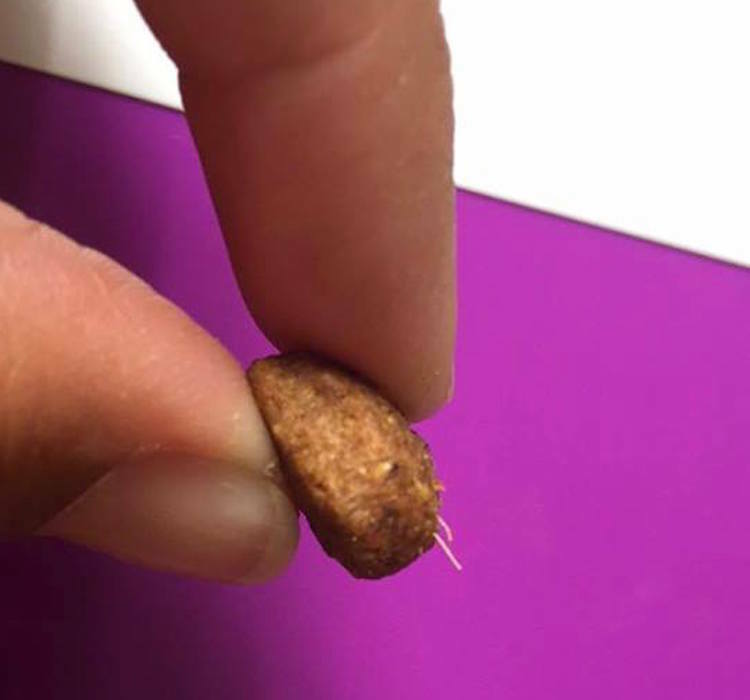 It’s a hard piece of plastic that goes into the skin!” —Ev C.
“Found a plastic wire in my dog’s food. Not just 1 piece. But 27 pieces so far. 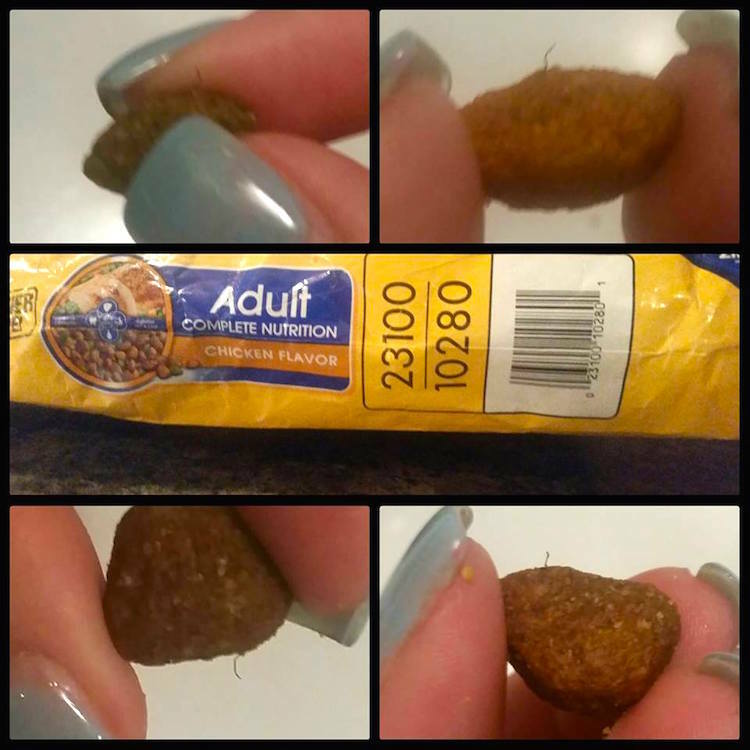 This dog food is not safe.” —Maria S.
“I took a handful of food out of this bag, and every dark brown piece had black or clear plastic/wires in it. 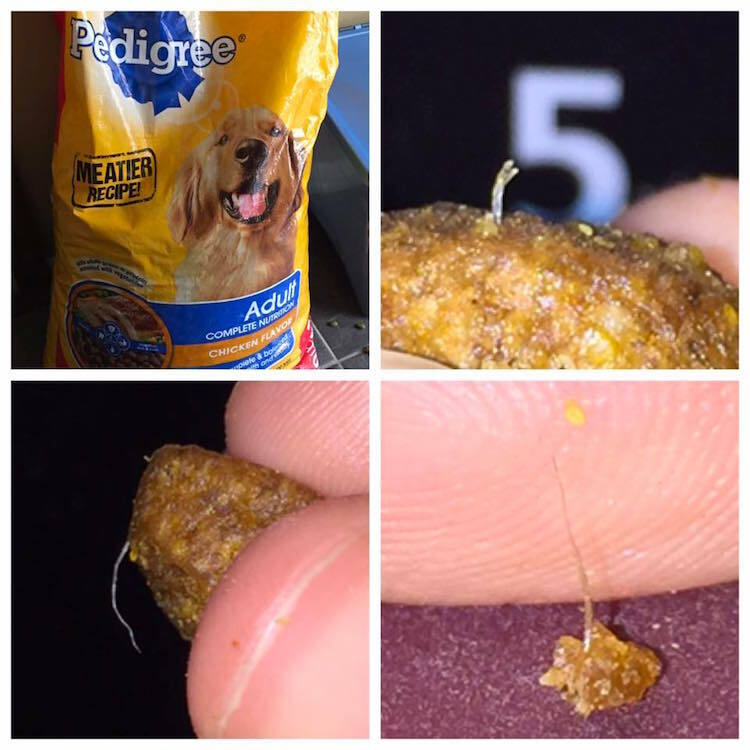 This is completely unacceptable!” —Joe-Dayna P.
We’re counting dozens, perhaps hundreds of comments just like these pouring in on Pedigree’s Facebook page. There’s a sort of hysteria happening online, and Pedigree isn’t doing very much to quell it. This time, though, the problem seems to be more widespread. 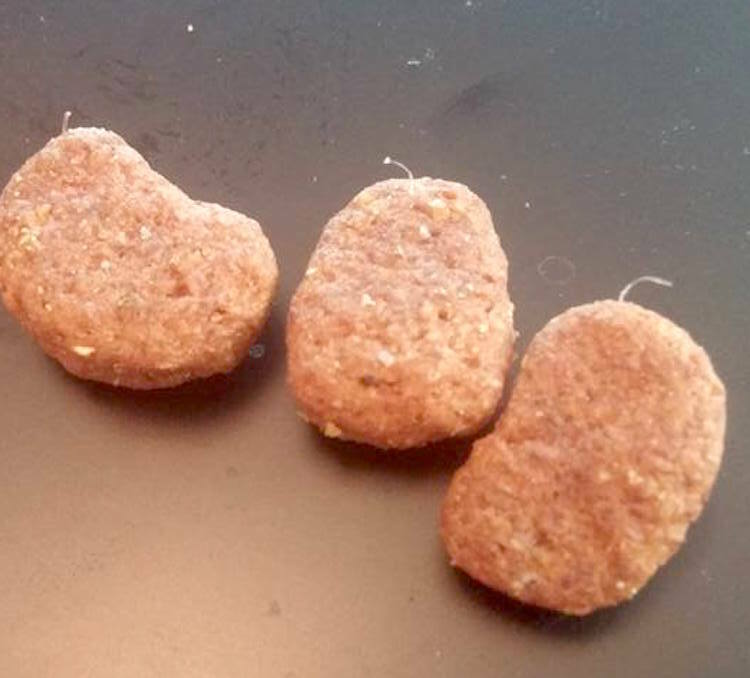 The hair seems to be appearing in a variety of dry pet foods from Pedigree. Let’s hope the company gives everyone a decent answer — and soon. After all, pets’ lives are on the line. If the food needs to be recalled, then recall it. The sooner, the better. 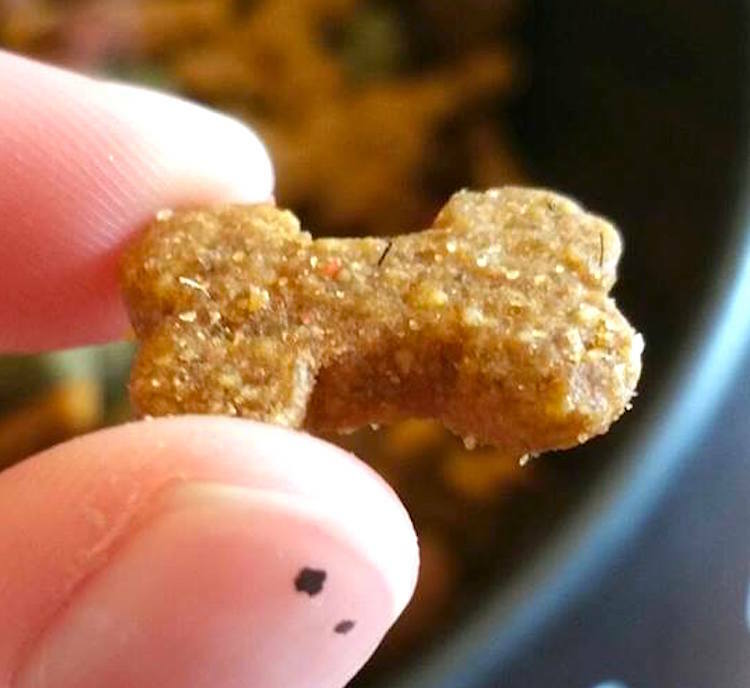 Have you found something odd in your Pedigree pet food? Let us know by leaving a comment below.